The arrival of prestigious brand Mercedes-Benz, in South and East Auckland, is here to create an encounter clients will never forget at Mercedes-Benz Botany. 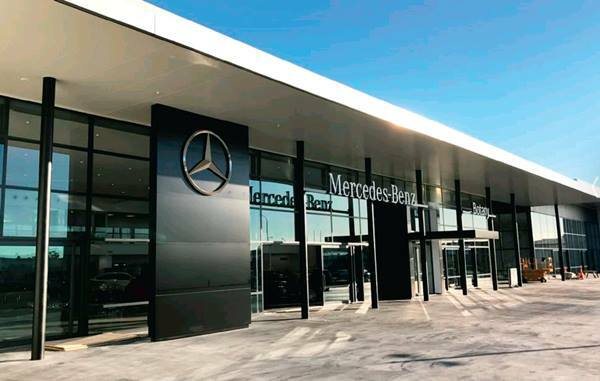 From the moment visitors set foot on the newly established site at 279 Ti Rakau Drive, the team at Mercedes-Benz Botany will ensure they experience nothing but the best in both customer service and vehicle selection; even after they’ve driven off in their newly acquired vehicle. Whatever their purpose for investing in an automobile, the experts at Mercedes-Benz Botany make it their mission to ensure clients invest in the vehicle that will not only suit, but enhance, their lifestyle. Mercedes-Benz Botany is expected to be the beginning of a new era for the automotive market in East Auckland. Covering 1.1 hectares of land, this stunning state-of-the art car dealership includes more than 5000 square metres under one single roof. site. The astounding features of the site, however, don’t stop there. Mercedes-Benz Botany’s customer lounge not only features luxurious furnishings but also professional barista coffee and refreshments, allowing clients to feel right at home. The team at Mercedes-Benz Botany focus on delivering high end customer service through simply living by the Mercedes-Benz motto: “The Best or Nothing”. Luxury, performance and now close proximity, means the quest for the premier car of one’s dreams is in the palm of one’s hand. Mercedes- Benz, being the number one selling, premium vehicle brand in New Zealand, has a huge line-up of cars which range from hatchbacks and supercars to SUV’s and everything in between. launches that might peak interest include the all new E Class and GLC SUV, plus to further ensure that a Mercedes purchased from Mercedes- Benz Botany delivers nothing but the best in performance, all new Mercedes-Benz come with three years free servicing. meaning choices are endless as are the opportunities. Mercedes-Benz Botany also offers a range of finance and insurance options that can be tailored to individual requirements. All clients have to do is talk to the onsite business manager who specialises in vehicle finance and lease options; from there they will be shown how to finance or lease the vehicle of choice at a competitive interest rate or repayment over a term that best suits needs and budget. With amazing opening offers available on vehicles and servicing, investing in a vehicle is now easier than ever. Mercedes-Benz Botany strives to provide the ideal customer experience. Whether buying a car or servicing one, East and South Auckland’s newest dealership in Botany is the place to go for all your premium vehicular needs or queries. When it comes to experiencing the best, and nothing less, Mercedes-Benz Botany sets the bar.